For programs prior to April 2013, please access ecotopiakzfr.net. 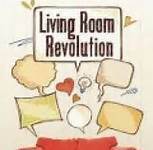 Our guest was Molly Brown, coauthor with Joanna Macy, of Coming Back to Life (New Society, 2014). She discussed "the great turning," her phrase for humanity's recognizing the plight of the planet and choosing to "opt for a sustaining world." We're see this program, coming as it does at the end of one year and the beginning of the new, as an opportunity for us to reflect in positive--but not pollyanna-ish--ways about what individuals can do in a time of peril. And lastly, we presented some ideas for sustainable arts and crafts projects for families. We've prepared a downloadable pdf file with myriad ideas, and you can get a copy by sending us an email at <ecotopiakzfr.gmail.com>. 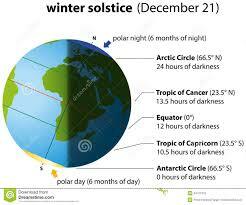 This program was our annual celebration of the winter solstice, marking the end of the sun's apparent journey south and the beginning of its predicted return to northern climates. We had fiction, nonfiction, poetry, a great children's tale, and music to honor this tradition. But first, we had an excellent interview with Kevin Killion, activist extraordinaire, Associated Students Sustainability Education member, who lead a recent campaign that ended with the Chico State University Foundation Board of Governors voting to fully divest itself from the top 200 fossil fuel companies within four years —making it the first public university in the nation to do so. Read the article about this great achievement in the ER. In this program, we examined climate change and it's potential for disaster. After reading from a recent Scientific American web posting on the effects of climate change on places ranging from the Arctic to the Maldives, we spoke with guests Kaitlin Haley and Mark Stemen of Chico State University about their plans for a climate change rally in Chico coinciding with the COP 20 conference in Lima, Peru, bringing home the importance of community and individual action to reduce carbon emissions. Following that discussion, we reviewed the ideas of several guests on our show regarding the inevitability of climate catastrophe and read from a recent Bill Moyers posting where prominent citizens discuss what we can do to slow or stop climate change. Click below to hear the program. We spoke with representatives of two organizations that are working to improve working conditions and wages for workers in the food service industries. Pamela Marley and Dominic Ware are members of OUR Walmat, an organization that has been campaigning with Walmart for better pay, better working conditions, less abuse of part-time workers, and more. You can listen to their stories about experiences they've had. What they seek more than anything else is respect. Visit the OUR Walmart website, <forrespect.org>. 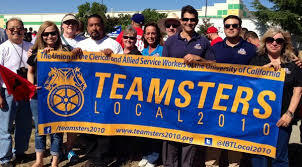 And then we spoke with Veronica Diaz, an organizer with the International Brotherhood of Teamsters, which is coordinating union organizing efforts at the Taylor Farms Tracy facility. She described the working conditions in Tracy and union blocking efforts by the company when workers gathered signatures and were prepared to vote on unionization. Veronica also spoke with us about a new California law, going into effect in January, that helps to protect part-time workers. And lastly, she shared her thoughts on President Obama's recent executive order to provide temporary work cards for some four million undocumented workers. Listen to the program--click below. Our guests were Caitlin Reilly, Executive Director of the Chico Creek Nature Center, and Teresa Lloro-Bidart of the Science Education Department at Chico State. In the first part of the program, Caitlin filled us in on the myriad activities of the Nature Center, including its living animal museum, display center, forest walks, summer camps, and others. She also discussed funding for the Center, which is no easy task, given recent budget cuts. And in the second half, Teresa joined us for a discussion of phenology, which is essentially the study of the changing seasons and how they affect animals and plants. The Nature Center is joining with CSU to introduce a citizen science program where area school children and others will observe change phenomena and add them to the data bank of the National Phenology Network <https://www.usanpn.org/>. We were greatly impressed by this project, especially as a way of helping kids see science through their own eyes as researchers. ( in depth. 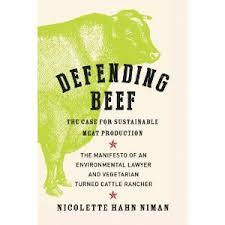 She also recommends learning more about these issues via the work of Alan Savory (whom we have previously interviewed on Ecotopia), the Marin Carbon Project, and the Natural Resources Defense Council. We also interviewed Caitlin Reilly, Executive Director of the Chico Creek Nature Center, which has recently been hit with cuts in support from the City of Chico. Caitlin described the work of the Center and presented the case for community support. We will have her on the show again soon to talk about other projects being conducted by the Center, including a fascinating program to engage citizen-scientists in assessing the state of nature in the park. To support the Chico Creek Nature Center, you can participate in their fundraising campaign at GoFundMe, Cover the Cuts. The Center's website is bidwellpark.org. Our guest was Dave Gardner, filmmaker, Growthbusters: Growth Bias Busted. Dave is an activist from Colorado Springs, where he ran--almost successfully--for city council on an antigrowth platform. Dave's web site<http://www.growthbiasbusted.org> also includes commentary on such topics as extinction, urban sprawl, and water. He also has a "Wall of Fame" and a "Wall of Shame" on that site. Alas, with our usual bad luck in the control room, we were unable to record this show. We also discussed some of the films being offered in the Wild and Scenic Film Festival, with a focus on lempowerment of activists and the theme of river restoration. The feature film is DamNation, an exploration of how dams have created a host of ecological issues and problems. Full details are at www.buttecreek.org. Our guest was John Gaudet, who also goes by the name, Bwana Papyrus, talking about his book Papyrus: The Plant that Changed the World from Ancient Egypt to Today's Water Wars. 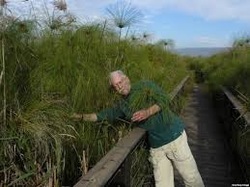 John is a professional ecologist who has worked with the U S government and the National Geographic Society. His work has appeared in the Washington Post and he remains active in African agricultural, conservation, and environmental agencies. You can learn more about him at www.fieldofreeds.com. And then were on the phone with Bob Fulkerson, State Director of the Progressive Leadership Alliance of Nevada, a consortium of thirty nonprofits in northern and southern Nevada that has been a powerful force in the state for over twenty years. Read more at planevada.org. Listen to the interviews--click below. We had a return visit from Michael Tobias of the Dancing Star Foundation along with his partner and collaborator Jane Gray Morrison. They described the work of the Foundation--which participates in biodiversity programs all over the world--and discussed how they design their books and films to educate a broad audience. You can access their work at www.dancingstarfoundation.org/, including their amazing book, God's Country, about the paradise and threatened ecosystem of New Zealand. We also spoke with Stephanie Feldstein of the Center for Biological Diversity about a project to upload photos that show what's happening to the planet (especially in terms of biodiversity) because of overcrowding. Check out the details and learn how to upload your photos at http://www.biologicaldiversity.org. The Center also has a number of programs that you'll want to know about. In this program, we looked at the ecosystem of language—words, sentences,discourse--which is inextricably bound up with how we think, what we take for granted, what we believe, and how we enter into the world around us. Then we spoke with Cezar Ornatowski, Professor of Rhetoric at San Diego State, who is a specialist in the rhetoric of science. He showed us that what passes for “truth” in science is not absolute, that it grows from that language in which it is expressed and the arguments that are put forward to promote it. We especially recommend his article "Rhetoric Of Science: Oxymoron Or Tautology" (don't be scared off by the title!) http://www.writinginstructor.com/ornatowski Cezar also recommends Metaphors We Live By, by George Lakof and Mark Johnson as an accessible introduction to how language can shape our world view. On this edition of Ecotopia we looked at two aspects of “the genie in the bottle”: nuclear energy. In the first segment, we spoke with Rick Wayman of the Nuclear Age Peace Foundation, which is assisting the Marshall Islands in filing suit against the nine nations known to have nuclear weapons. The suits charge that the nuclear powers have failed to comply with the Nuclear Proliferation Treaty of 1968 which calls for “good faith negotiations to end the nuclear arms race at an early date.” Rick told us more about this interesting and important David versus Goliath campaign. 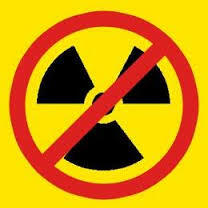 The Nuclear Age Peace Foundation can be found at www.wagingpeace.org, where they also have a petition you can sign to join in this campaign. And in the second half of the program, wespoke with Harvey Wasserman of Solartopia. He has been closely following the Fukushima nuclear power plant disaster in Japan and described about the effects of the nuclear fallout on populations as different as Japanese children and U.S. sailors. We were joined in that segment by our son, Mojohito, who has closely followed the developments at Fukushima. Harvey Wasserman can be reached via solartopia.com and his weekly radio show is at www.prn.fm He also recommends the website for Ecowatch http://ecowatch.com/. In this program we talked first with Barbara Vlamis, Executive Director, and Jim Brobeck, Policy analyst, about a recently filed lawsuit seeking an injunction against the Bureau of Reclamation's plans to transfer northstate water to the arid southern Central Valley. Barbara and Jim explained the work of AquAlliance and how it is working on multiple fronts to preserve water and land, from the Sacramento Valley to Shasta Dam and beyond. Also on the program was Bill Jennings, Executive Director of the California Sportsfishing Protection Alliance, which is also party to the lawsuit. Bill provided detail about recent and ongoing studies of how water diversion and decreased flows damage the Delta and have imperiled a number of fish, including the Delta Smelt. Learn more at http://www.aqualliance.net and http://calsport.org/news/ Click below to listen to the program. We had an especially enjoyable time talking with Dan Riskin, author of Mother Nature Is Trying to Kill You <www.danriskinbooks.com>. Dan is an evolutionary biologist and cohost of Daily Planet, a one- hour science show on Discovery Channel Canada. He argues that people have romanticized "nature" and have assumed that it is always "good." His book and the interview were loaded with examples of nature that shows traits analogous to human wrath, greed, sloth, pride, lust, envy and gluttony. He also argues that instead of taking animals and nature as models, human beings can use their pride to be more than "meat robots" obeying genetic impulses to multiply and recreate their own DNA. The book is available from Touchstone Press. To listen to the interview, click below. Our guests were Paul Ehrlich, Bing Professor of Population Studies at Stanford and author of the highly influential 1968 book, The Population Bomb, and Michael Charles Tobias, author, filmmaker, and president of the Dancing Star Foundation. 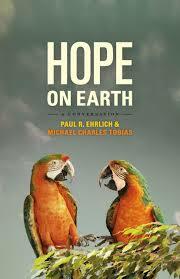 Their book, Hope on Earth, is an edited version of a two-day conversation they held in the Colorado Rockies. They generously continued that conversation on our program, focusing on ethical issues and decision making ambiguities on global problems including population, women's rights, social justice, and considerably more. In terms of individual action, Paul is concentrating on the Millennium Alliance for Humanity and the Biosphere (mahb.stanford.edu), a source of blogs, papers, discussions, and forums on global issues, while Michael devotes his energy to the Dancing Star Foundation (www.dancingstarfoundation.org), which focus on biological diversity and preservation. To listen to this impressive conversation, click below. Our guest host was Rose Miller, an 8th grade student at Wildflower Charter School. Creating this program was the culmination of her internship with KZFR. Her guests were Melanie Marty, who has a Ph.D. in Pharmacology and Toxicology, who works at the California Environmental Protection Agency, and Mark Miller, M.D., Assistant Clinical Professor in the Department of Pediatrics at the University of California, San Francisco, who also works at the Cal EPA. They both discuss their recent report to the California legislature regarding toxin 13- in California. Listen to the program by clicking below. We celebrated the 50th anniversary of the publication of Leo Marx's book of that title, exploring the pastoral and technological in literature. We read poetry and prose from Leo Marx, Rachel Carson, Henry David Thoreau, Margaret Atwood and others that showing writers' general feeling that Eden has been destroyed by the industrial revolution and capitalism. Our guest was Murray Carpenter, author of Caffeinated: How Our Daily Habit Helps, Hurts, and Hooks Us. A journalist who has written for The New York Times, Wired, National Geographic, NPR and PRS, he started studying caffeine in graduate school and has continued exploring this molecule for thirty years. We talked with him about the nature of caffeine and how it works on the body, the rapidly expanding market for caffeine products, the uses of caffeine by groups as different as bicycle racers and soldiers, and some ways in which caffeine may or may not come to be regulated by the Food and Drug Administration. Murray has also written widely on environmental issues, including vernal pools, dam removal, and various endangered and threatened animals. You can read those articles as well as some of his pieces on caffeine at his website: http://murraycarpenter.com. Recently Educational Testing Service announced major changes in the SAT (formerly called Scholastic Aptitude Test) which determines the academic futures of many young people. Why change the SAT? 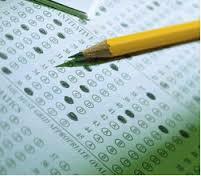 What is the effect of standardized testing on students and the schools? Then we interviewed Wayne Au, University of Washington, Bothell, who has extensively studied why mass testing is "asinine." He's an editor of Rethinking Schools, a magazine we highly recommend for both teachers, parents, and concerned citizens. Listen to his interview: Click below. Steve had an opportunity to be guest host on Sue Hilderbrand's Real Point program. He interviewed McKenzie Funk, author of WINDFALL: THE BOOMING BUSINESS OF GLOBAL WARMING. McKenzie traveled all over the world "following the money" to see who is profiting from global warming, from oil drillers to fire fighters to the builders of sea walls. Some of these people are profiteers, but most, according to McKenzie, see themselves as helping the world in difficult times . . . while making money in the process. Click below to hear the interview. Bill Powers spoke with us about his new book, COLD, HUNGRY, AND IN THE DARK, which explodes the myths surrounding shale gas extraction--fracking--tracing a history of misrepresentation by the gas industry back to the 1970s. He has case studies on fracking in Texas, Louisiana, Wyoming, and Pennsylvania. He also discussed the near inevitability of a natural gas crisis in the very near future. Our guest was John de Graaf coauthor of AFFLUENZA (3rd "Mutation"). He talked about the advent of overconsumption and overspending following World War II, discussed the viral epidemic following the Reagan years, and updated us on the current state of this global disease. John offered solutions that include education, changing one's personal consumption habits, and finding happiness. He also has policy recommendations ranging from single-payer health care to tax reform to corporate responsibility. Listen to the program: Click below. Carol Peppe Hewitt is a leader in the Slow Money movement, where individuals make small loans to green entrepreneurs. Thus the commercial banks are bypassed--not that they are willing to make these kinds of loans in the first place. Carol told us how her local organization has gone from a pair of $1000 loans to a million dollars in support for small, local businesses. The book is published by New Society. Sorry, no show recording available. We'll be looking at Three Great Activist Organizations: The Chico State University This Way to Sustainability Conference (Coordinator Sheridan Ex), The Mormon Helping Hands "Lovin' on Chapmantown" weekend work party (Roger Ekins), and the latest projects by Butte County's AntiFracking Coalition (Dave Garcia). Sorry, no show recording available. Our guest was Alan Stellar a psychatric nurse, an excellent journalist, and an obviously unhappy resident in the foothills area of Butte County. Alan reports that the Concow Fire of four years ago created almost ideal growing conditions for marijuana and that large growers--"trespassers"--are growing huge cash crops, and in the process, degrading the land, illegally removing water from the streams, and causing myriad other problems. Although the Board of Supervisors recently passed new restrictions on the growing of cannabis for legal, medicinal use Alan Strongly believes that those regs will be ineffectual for the target, legal audience and will have no effect whatever on the booming illegal trade. Click below to listen to the program. Our guests on this program were Nea Edwards, Activities Director of the Chapmantown: Good Food Now! project and Lindsey Holmberg, Manager of the Chapmantown Farmers' Market. They discussed how farmers' markets in general are promoting food safety and buy-and-eat local campaigns. You can listen to this interview by clicking on the link below. Our thanks and deep appreciation to Chris, who hosted three shows in January during our absence. We appreciate not only her covering for us, but, more important, the insights she brings to environmental issues through her long and dedicated work as an activist. In this New Years' Eve interview, Paul O'Rourke Babb discusses a wide range of topics from progressivism to socialism, in the process, describing his personal history as an activist, his sense of where the progressive movements of the past several decades have succeeded and failed, and what we-the-people can be doing to bring about a genuine revolution in our very troubled times. That last sentence does not do justice to Paul's interview; be sure to listen to it by clicking below. We interviewed Gary Sim, author of RAILWAY ROCK GANG, whom we also interviewed on September 24 (scroll down for notes). We asked Gary how, as a painter and graphic artist, he chooses to represent nature. 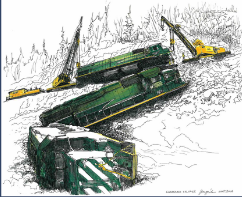 A chronicler of British Columbian art, Gary also told us about how artists have characterized B.C., from the earliest explorers--Cook and Vancouver--to contemporary artists and environmentalists. Check out his book at http://railwayrockgang.com. In this program, we also interviewed Chico State art historian Asa Mittman. Unfortunately, we did not capture this part of the program on our recorder. But you can hear Gary's interview by clicking below. Alan Weisman was our guest. 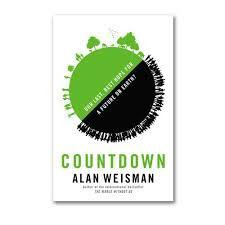 He's the author of Countdown, which asks whether population reduction is Our Last Best Hope for a Future on Earth? A renown journalist, Alan traveled to over twenty countries to ask people about the earth's population capacity, the kinds of ecosystems it needs to maintain, what kind of noncoercive population control programs work, and how the economy can adjust to a world where population is in decline. "If we don't do it," Weisman says, "mother nature will do it for us." Listen to this excellent interview. Click below. Linda Furr, Cathy Faith, and Christina Hemengway were our guests, discussing "Re-Doin' It Right," a local group that refashions and refurbishes older garments, and 360 EcoTique, a downtown Chico emporium that features recycled clothing. Don't buy any more new clothes. Don't throw away the old ones. Recycle, Reuse, Refashion. Click below to listen to this discussion. On November 12, during our regular shift on KZFR's Storyteller (Tuesdays, 7-7:30), we hosted students from Chico's Wildflower Open Classroom School, with whom Steve had worked on radio drama. Click below to hear the interview and to listen to their radio dramas, ranging from the story of "Sharkzilla" to "Turkey Escape." Learn more about the school at wildflowerschool.com. 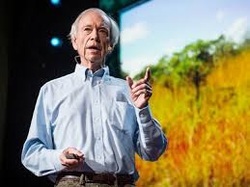 Our guest was Allan Savory, a pioneer in fighting climate change and desertification by putting more, not fewer, animals on the land and moving them about judiciously. Also on the program was Chicoan Chris Kirsten, who works in the education and public relations department of the Savory Institute. We spoke with Austin Price, Field Director of CALPIRG, California Public Interest Research Group, which has as its motto, "Standing up to powerful interests." He described a number of CALPIRG's projects, including seeking legislation to regulate the transportation and storage of dangerous chemicals, restoring democracy, childhood obesity, and GMOs. You can read more about their work at calpirg.org. To listen to the program, click below. On this program, our guest in the studio was Chicoan Jim Brobeck and on the phone, Kevin Wolf, CEO of Wind Harvest International. Jim and Kevin had serious reservations about assertions made by Mike Bond on Eco #252 (see immediately below). They felt he exaggerated the negative effects of wind power and offered data refuting his assertions about the largest wind companies, wind capacity, C02 production, transmission lines, abandoned turbines, bird kill, and the merits of solar versus wind. Kevin went on to describe his company's vertical axis turbines (pictured left), which are considerably smaller than the turbines described by Mike Bond. Both Jim and Kevin are bullish on the future of wind power and see it as an essential and main part of the a green and sustainable energy mix. Mike Bond was our our guest. He is a novelist, poet, energy specialist, and vigorous opponent of what he calls Big Wind--the corporate conglomerates placing windmill farms on hilltops in his native Maine and elsewhere. Mike was also active in the campaign to block Big Wind in Hawaii, and his novel dramatizes that story. In the interview, he reads from the novel but also explains why he thinks Big Wind (and wind in general) is not a solution to alternative energy sources. We thought this was an excellent interview and recommend not only that you listen to it but that you read Saving Paradise. You can learn more at mikebondbooks.com. Click below to listen to the interview. 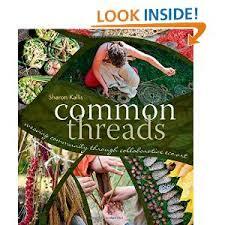 Our guest was Marion Nestle, who has written an illustrated guide to food politics. Her book is a collection of previously published cartoons on such subjects as the American food system, obesity, the food pyramid, feeding kids, and fixing the food system. She is Paulette Goddard Professor in the Department of Nutrition, Food Studies, and Public Health at New York University. Sorry, we don't have a recording for that program. And click below to listen to the program. Bonus! Gamma Susan and Grampy Steve followed up the Gary Sim interview with a special edition of The Storyteller focusing on trains: Casey Jones, John Henry, the train poems of Emily Dickinson and Edna St. Vincent Millay, a rescue story and a ghost story, plus some great railroad music. Click below to hear the program. In this program, we first interviewed Gayle Kimball, Chico area activist, who has discovered that almond growers in the area have been spraying Paraquat in their orchards to kill off grass and weeds under their trees. The safety of Paraquat is highly debatable, and she discusses some of the difficulties she's encountered while trying to learn about it's use. Click below to listen to the program. On this program, we interviewed writer/songwriter Dan Imhoff about his new album, Agraria. It includes a number of Ecotopian songs he wrote growing out of his study at the Berklee School of Music in Boston. Dan is backed up by some excellent musicians from his band, which regularly plays in Sonoma Valley. In addition to being a musician, Dan works at Watershed Media in Santa Rosa, which publishes a wide range of books, including his oversize, richly colored book CAFO: Confined Animal Feeding Operations. The album is available from the usual online sources. Due to technical incompetence, we weren't able to record this great show. Get the music! How Fracking's False Promise of Plenty Imperils Our Future. The title tells you precisely what this interview is about. Richard is a Senior Fellow at the Post-Carbon Institute. Listener response: "Can't lose with a guest like Richard Heinberg." The Institute also has a great list of Ecotopian websites, and we are adding many of those to our resources page. Our guest was Phil West, who served for eighteen years as the Director of Common Cause in Rhode Island. He's writing a book on his and Common Cause's efforts to control political corruption in Rhode Island. He also describes how, prior to Common Cause, he worked as an activist in New York and served as minister of a parish in Connecticut. Our guest was Dave Gardner of GrowthBiasBusted. He's a filmmaker and media watchdog. He spoke in detail about the world's addition to growth and consumption and how the media are failing to do good journalism in looking at all sides of population and growth issues. His website includes an intriguing Wall of Shame, where he and his truthbusters identify recent biased articles, and a Wall of Fame for well written articles. Visitors to the site can also vote on what they see as the best and worst media reporting each week. Go to growthbiasbusted.org. Click below to listen to the broadcast. This was a wonderful two-part interview, but alas, we failed to press the record button in the studio. Then we talked with Brad Montgomery, who is the Executive Director of the Torres Shelter here in Chico about his work at the Center and his participation in the Greater Chico Homeless Task Force. What amazed us about this interview is the amount of good work already being done in Chico, much and even most of it NOT being done at taxpayer expense. Resolving homeless issues is especially difficult at a time of economic crisis. Read more about good work at the Torres Shelter. Our guests were Chicoans Gerard Ungerman and Stacy Wear, who are traveling the country creating video interviews with people who are respecting the planet and its inhabitants. They've created a web page where you can click on map locations and to view a growing collection of over seventy interviews. Visit their website. We had two guests on this program. 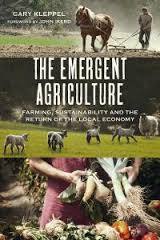 Hank Will is coauthor, with Karen Will, of Plowing with Pigs, recently published by New Society. Hank is Editor of Grit magazine in Topeka, Kansas, a reading standby for rural folk for over a century <http://www.grit.com/>; and he and his wife are homesteaders as well. Hank is especially interested in do-it-yourselfism and has created a wide variety of tools and techniques for the sustainable farmer. Then we spoke in the stuido with Chris Kersten, who is one of the managers of Chaffin Family Orchards here in the Northstate <www.chaffinfamilyorchards.com>. When not engaged with his work at Chaffin, Chris and his wife also work to be sustainable farmers on their own. Like Hank Will, Chris is loaded with practical advice good for us all. The Endangered Species fair has a thirty plus history in Chico, with wildlife specialists, ecologists, and a whole bunch of greenies exhibiting ways to help save the planet's endangered and threatened plants animals. This year, May 4, 2013, also includes the third annual Procession of the Species, with a puppet parade with about two hundred fifty of those creatures--giant puppets, small puppets, and a whole bunch of kids who want to save them. In this program, we interview Maggi Barry of the Butte Environmental Council, which sponsors the event, and then with children and teachers, K-8 who have been engaged in making puppets for the faire! 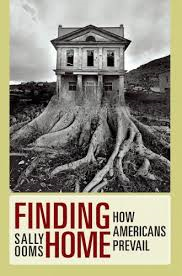 Our guest was Rob Dietz, co-author with Dan O'Neil of Enough is Enough: Building A Sustainable Economy in a World of Finite Resources (San Francisco: Barret-Koehler Publishers, Inc., 2013). He quotes Lao Tzu, "A person who know that enough will always have enough" and says we have enough: "throughput," people, inequality, debt, miscalculation, and unemployment." Rob has a background in environmental science and is now author/editor of Daly News, published by the Center for the Advancement for Steady State Economy. In this program we talk with the editor of a book that is an eye-opener, both visually and editorially. 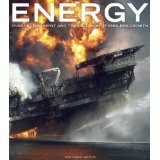 Energy: Overdevelopment and the Delusion of Endless Growth is published by the Post-Carbon Institute and Watershed Media <http://www.watershedmedia.org/>. It's coffee-table sized, with full color, wall-to-wall photographs, but also contains rich text by internationally renowned specialists such ecologists as Wendell Barry, Sandra Steingraber, Rachel Smolker, Lester Brown, Lisi Krall,Richard Heinberg (recently here at CSU Chico), Bill McKibben, and Phil Cafaro. It identifies “False Solutions” to the energy crisis, including drilling, nuclear power, “clean” coal, fracking, dams, bioenergy and oil shale, and recommends such solutions as conservation, resilience, eco-localism, beauty, biodiversity and family planning. 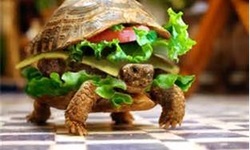 For programs prior to April 2013, please go to ecotopiakzfr.net.